A Customer purchased a suit for $100, and a hat for $50. The customer's total was $150. The customer gave the store $60 in Cash, and then paid the remaining $90 on Credit Card. 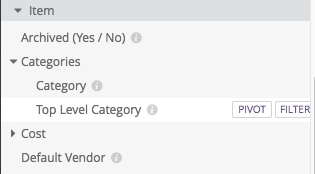 If there are multiple categories and multiple products, there is no way to tell what payment methods were associated with which products. If one product was purchased and one payment method was used. 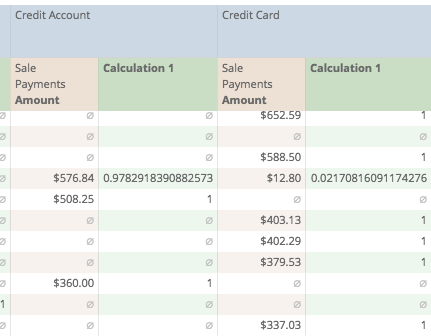 If products in five categories were purchased and one payment method was used. 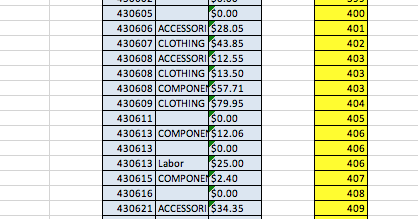 If multiple products in one category were purchased and multiple payment methods were used. categories, or an even distribution of one or other. 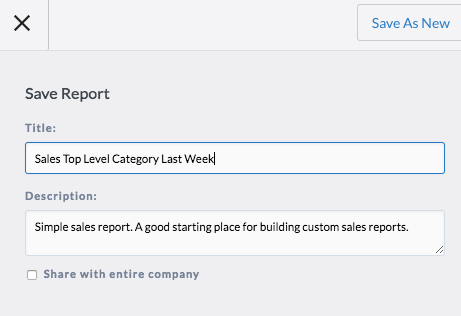 Because not every sale will be one of the easier scenarios, Analytics cannot completely determine which payment methods were associated with which products, and for that reason, the template for such a report does not exist. But we could export our data from Analytics, open it in a spreadsheet software such as Excel, and then come up with a logical rule to distribute funds received by payment method across their respective categories. 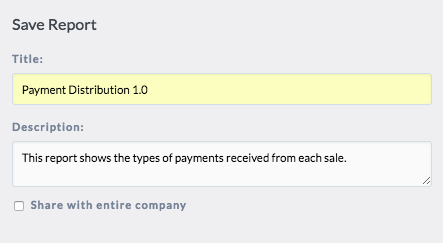 This will involve coming up with a logical rule for distributing values from multiple payments across multiple categories. Fortunately, there is a simple one that we can start with. 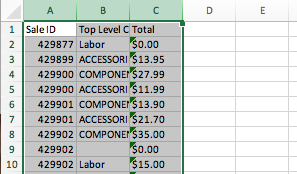 We could take the total funds and determine the percentage that each method contributed to the total. In the above model, the payment methods totalled $150. So we could then decide that 40% of the Hat was paid for by Cash, and 60% was paid for by Credit Card, likewise for the Suit. Is it definitely what happened? No. But it works, and is enough for us to start building a simple working model. In addition to this, we can use Analytics to start preparing our data. Now, we're not actually interested in the payment amount, all we need here is the percentage that each payment made towards the total. 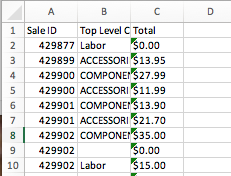 ...I'm also giving it a title of "Distribution"
Let's start by using the Excel "Match" function to find where the Category's Sale ID can be found in the list of payments. 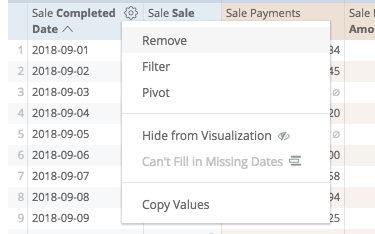 This way, when I drag the formula to the right for each payment method, the payment method column will change, but the Index source (Column R), will stay locked in place. Now, what we want to do is multiply each category's total against its respective payment amounts. Most of the payment amounts we see are 100% or 0, although we're seeing some split payments on the list. Or any other way you wish! 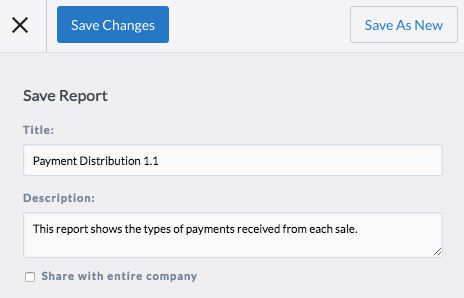 Discerning minds may notice that the totals from the Payments and Sales reports may not match. This does not necessarily mean that your math is incorrect. 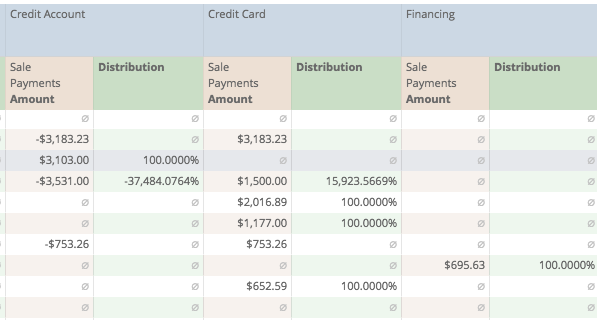 Keep in mind that the "Payments" reports will include values applied to Credit Accounts, and is not necessarily limited to "Sales" transactions.